My name is Mona Spalding. I have lived in Shelby County my entire life. I married my high school sweetheart and we have three wonderful kids. I am a member of the St. Joseph Catholic Church. Our family project is restoring antique farm equipment; we have a steam engine that has been in Dan’s family for generations. I opened In-Sight Realty in August of 2011. In-Sight’s philosophy is based on the years I spent in marketing and Customer Service. The marketing part of my career taught me that a clear message is the best approach to any goal. This has never been truer than in today’s real estate market. You will hear me say anyone can place a sign in the yard, it takes focusing on the details to get to the closing table. My years in customer service taught me the value of listening to what the client wants. Keeping their goal in mind, implementing the marketing plan and staying in touch is my top priority. When you choose to work with me you not only get a REALTOR you also get a Team of Realtors. My clients tell me I have a unique approach to their real estate needs. In listing your home we work together to develop your unique marketing plan. Every home and every situation is different and the days are gone were a “cookie cutter” approach to marketing your home will work. Since you are reading this on our website you are aware that I use the internet to expose your home to the largest market possible. Please call with any and all your real estate needs. I am here to be of service to you. 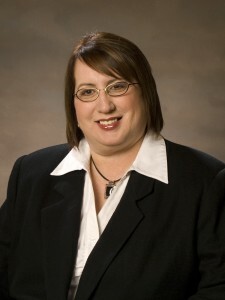 Member of the Shelby County Chamber of Commerce; past board member, past chair of Women’s Expo/Athena Celebration. Member of the Shelby County Builders Association. Chair of the Home Expo since 2005.